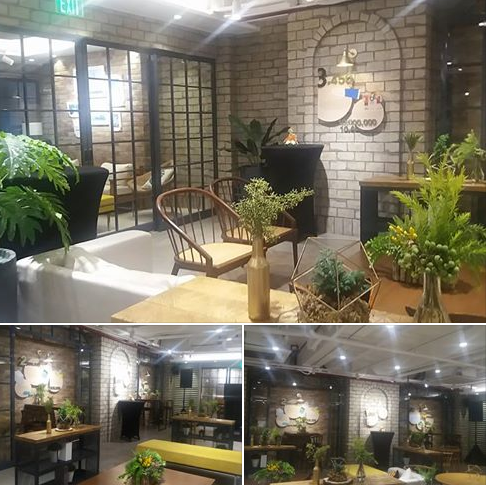 Luckyfinds: Amway opens its pilot brand center referred to as "My Amway Place"
Amway opens its pilot brand center referred to as "My Amway Place"
As part of its 20th Anniversary, Amway unveiled its very first brand center at 828 Arnaiz Street, Salcedo Village, Makati City. My Amway Place occupies three floors of the Kentek Building. It is is a $1.5M USD investment that occupies four floors in the Kentek Building. It was a two-prong launch event attended by traditional media in the morning and by bloggers in the second half of the day last October 25, 2017. My Amway Place is one of the highlights of the company’s 20th year milestone in the Philippines Conceptualized by known Korean design company, Anche Space Consulting Group, My Amway Place is patterned after other Amway markets in the region. “We designed this world class space for our ABOs and potential market – a playground to bring the Amway opportunity and expersta to life. A place to build your business, explore Amway products, invite prospects and just have fun,” says James Park, VP Market Innovation. This one-stop site supports ABOs in retailing, training and community development. The first floor is dedicated to the Lounge, featuring a café serving coffee and pastries for ABOs and their guests. “First impressions matter. The first floor is about building connections. We want to be able to help our ABOs attract new prospects by giving them a space where they can comfortably and confidently meet and start to build that connection,” says Leni Olmedo, country manager, Amway Philippines. Amway’s top brands such as Nutrilite, Artistry, and the newly launched Korean skin care line Miyu, s may be tried out. The second floor also houses the Amway Promise Zone, where Amway’s total satisfaction guarantee comes to life – this space includes customer care and eSpring warranty service support. The fifth floor houses the Training and Events Center, a world class facility with flexible space options for hosting large meetings, training and community events for as many as 300 people. Amway Philippines’ new headquarters is located on the fourth floor of the building. 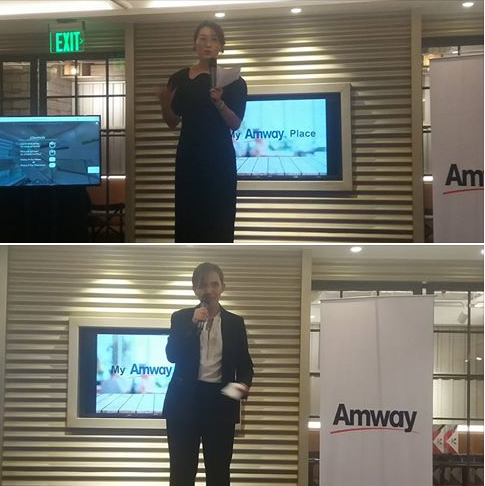 “As you know, the Philippines is in a unique position to provide a fertile testing ground for some new ideas for Amway. Our economy is still growing fast in Southeast Asia, and has been on this stable trend in recent years. Our focus is to ensure that all our ABOs will get a robust level of support so they can ride with this growth,” adds Leni Olmedo, country manager of Amway Philippines. Do check out My Amway Place and experience the world’s number 1 direct selling company’s flagship brands. Visit www.facebook.com/amway.phi/ for more details.